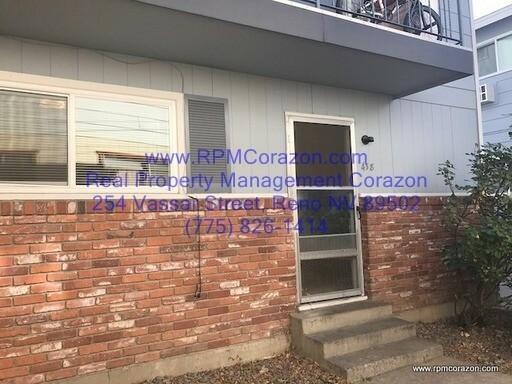 Please stop by our office at 254 Vassar St. to check out a key. 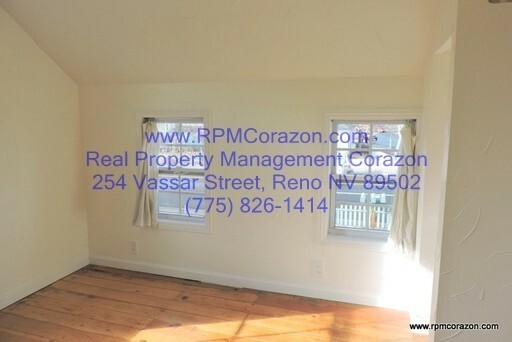 Nice 2 bedroom 1.5 bath town home available. 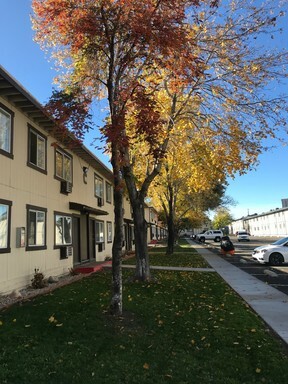 Town home has a wood burning fireplace sure to keep you warm and toasty in the winter. 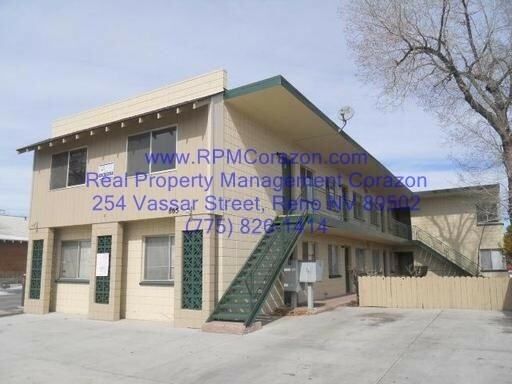 this affordable 2 bedroom comes with a small enclosed patio and is near UNR. 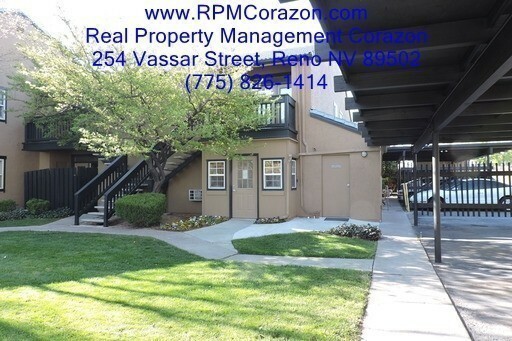 Downstairs two bedroom, 1 bathroom apartment located in the Wildcreek Gardens in Reno NV. 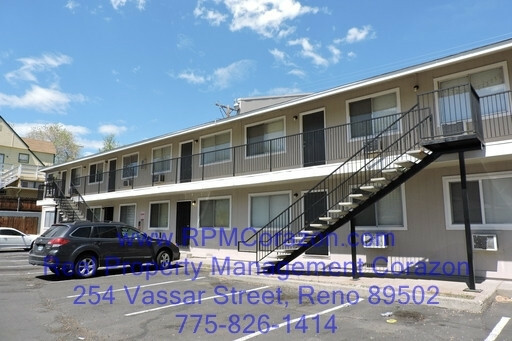 This unit is located close to the swimming pool, playground and everything else this facility has to offer. 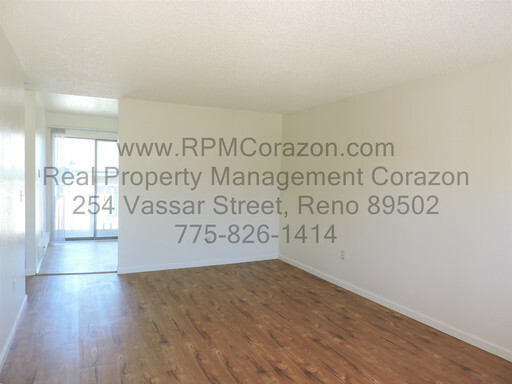 Cute one bedroom apartments with separate small dining areas off the kitchen. Laundry room on-site and a courtyard out front for leisure activities. 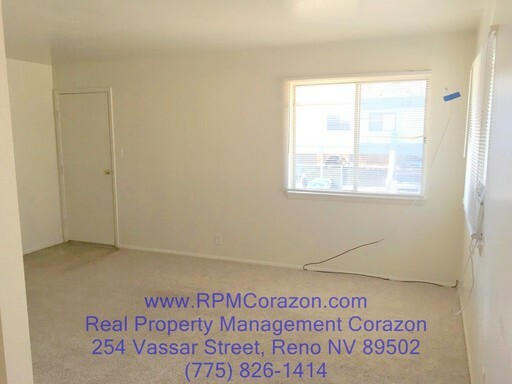 Remodeled Upstairs Studio - $845 MOVES YOU IN! 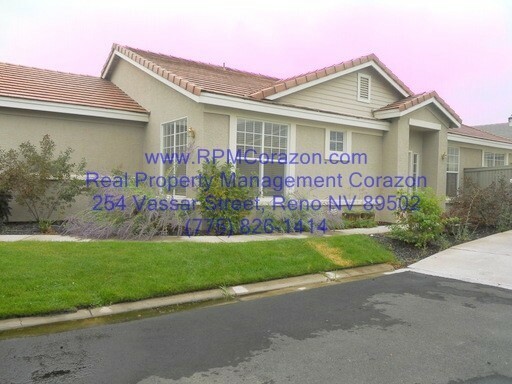 Located in a Great Gated Community! 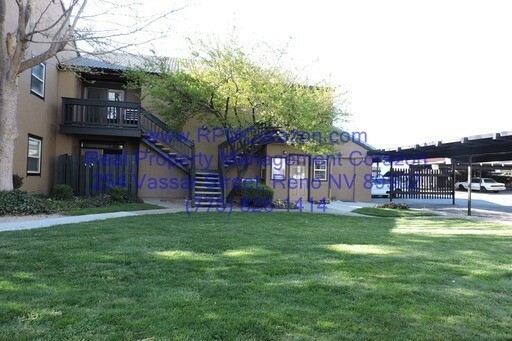 This is a very smart three-bedroom home located at Wyndgate Village, where you can enjoy the pool and clubhouse as part of the privileges that are featured when you rent here. 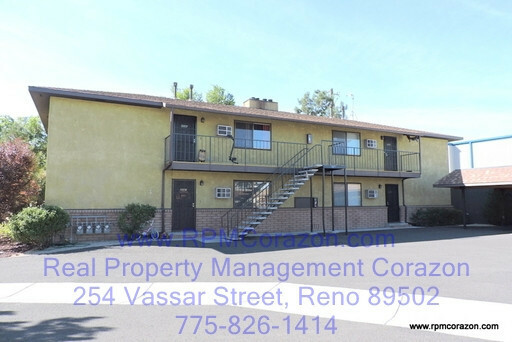 The location is terrific, with easy access to the freeway to get anywhere in Reno, Sparks, or even Carson City. 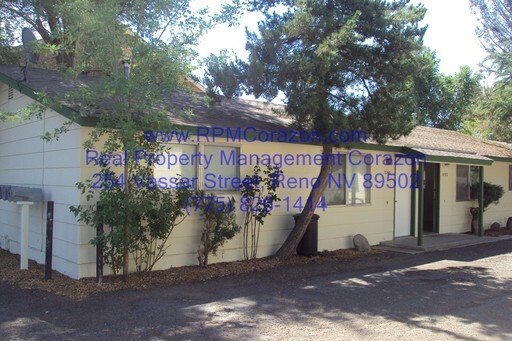 Features a gas switch-on fireplace, and a front yard cared for by the homeowners association. Downstairs Two Bedroom, One Bathroom Apartment in Sparks. New flooring and fresh paint throughout. 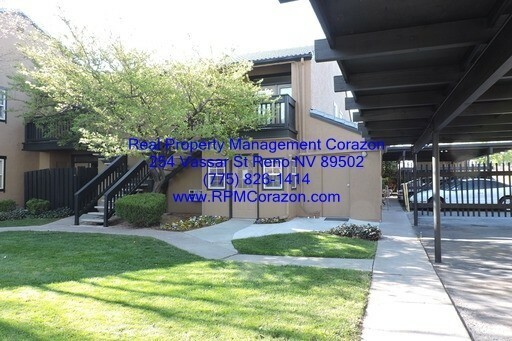 Downstairs,Two Bedroom, One Bathroom Apartment is located at the end of a cul-de-sac. With winter in full effect, the covered parking is going to come in handy. 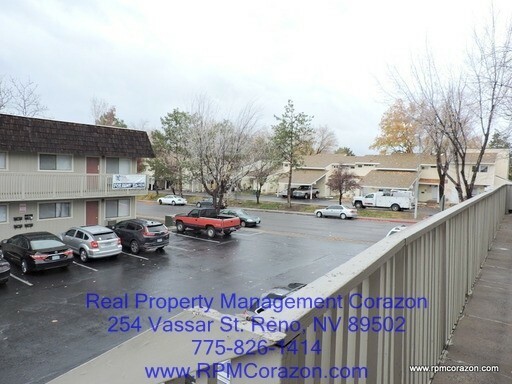 The unit has full-size washer and dryer hookups and a fireplace in the living room. 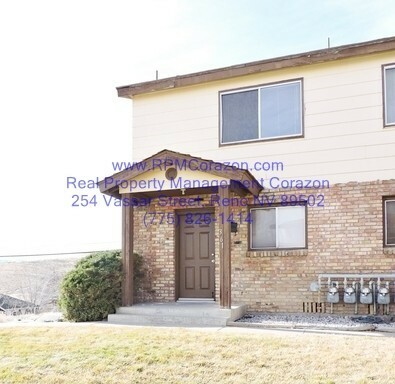 This unit features a large fenced backyard! 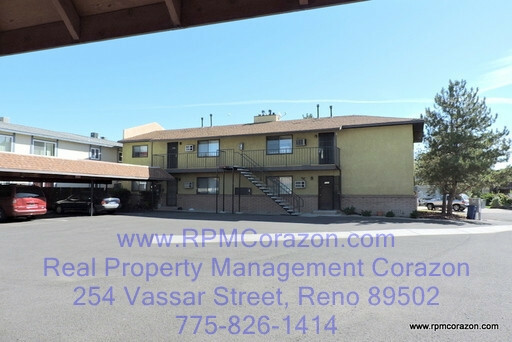 Upstairs, Two Bedroom, One Bathroom Apartment is located at the end of a cul-de-sac. With winter in full effect, the covered parking is going to come in handy. 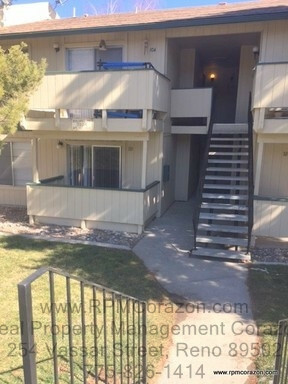 The unit has full-size washer and dryer hookups and a fireplace in the living room.